Korn was by far one of the most successful bands coming out of the 90’s and some of the songs they have written will go down as some of the biggest anthems of all time. They hit a big roadblock when guitarist Brian “Head” Welch left in 2004 to pursue a solo career and grow in his relationship with God, but when he returned in 2013, it sent waves across the metal community and their first album with Welch- The Paradigm Shift– was a true return to form and helped regain the identity the band had been searching for. Fast forward to 2016 and the band is still right on track with their follow up in The Serenity of Suffering. If you thought Paradigm was a Korn record through and through, just listen to Serenity one time through and you’ll think it was 20 years ago all over again. The album opens with “Insane,” kicks off with the famous Jonathan Davis screams and growls. As distinctive and recognizable as they are, you’ll get chills instantly. Next up is lead single “Rotting in Vein,” which is a Korn song if there ever was one. It has the famous Korn spooky guitar tones mixed with a “Freak on a Leash”-”Twist” style Jonathan Davis rapping that everyone loves so much. Then there are songs like “The Hating” and “Dark is the Soul” which both have the dark Korn lyrics that make them so relatable. “Baby” has a very “Freak on a Leash”-esque guitar opening and a familiarity that will make long time fans happy while “Take Me” and “Calling Me Too Soon” are some of the catchiest songs the band has ever written and are perfect for a live setting. You can close your eyes and hear those songs in a sold out arena or capacity-packed festival. 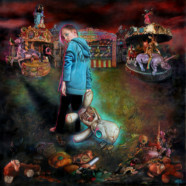 In the end, Korn has written an album that is the epitome of what a Korn record is made of. Back in 2004, had Welch not left and they released this album, the entire path of their career could have been completely different. Then again, the way things happened and how they have unfolded is perfect. The band has new life in them, a newfound identity, a deadly double-guitar attack once again and their songwriting has never been so tight. This is exactly what Korn fans are looking for when they pick up a Korn record.